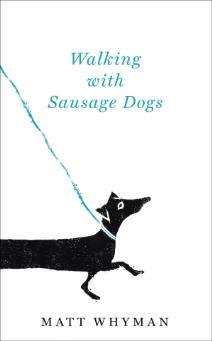 Matt Whyman: Walking with Sausage Dogs - out now. Walking with Sausage Dogs - out now. Walking with Sausage Dogs is out this week. The book is published in the UK by Hodder & Stoughton. To celebrate, I took Hercules and the family to Hampstead Heath this weekend for the Sausage Dog Olympics. Hercules did OK. He came second in his race category, but fell short in the Sausage Dogs Eating a Sausage Challenge.